Boys will be boys. And unfortunately, they can sometimes be a little destructive if you aren’t watching them carefully. 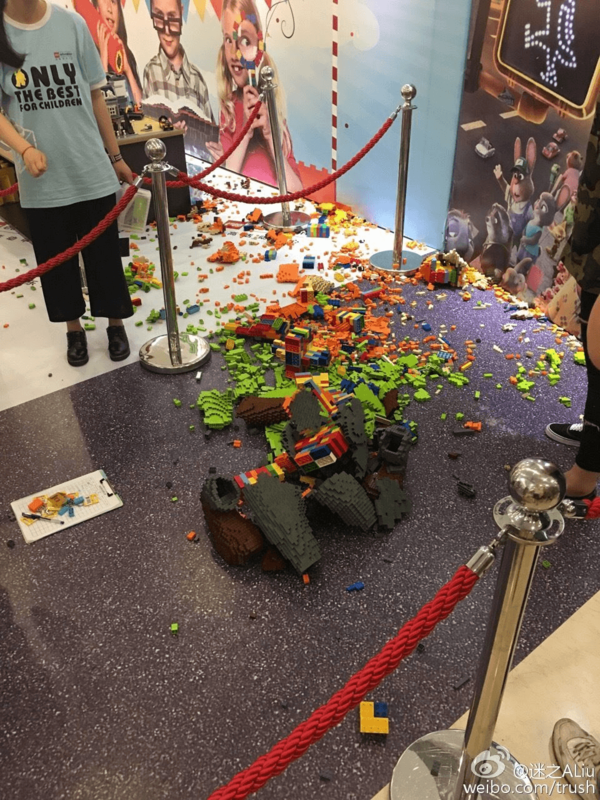 A young Chinese boy has accidentally knocked over a £10,000 Lego sculpture, just an hour after it was put on public display. 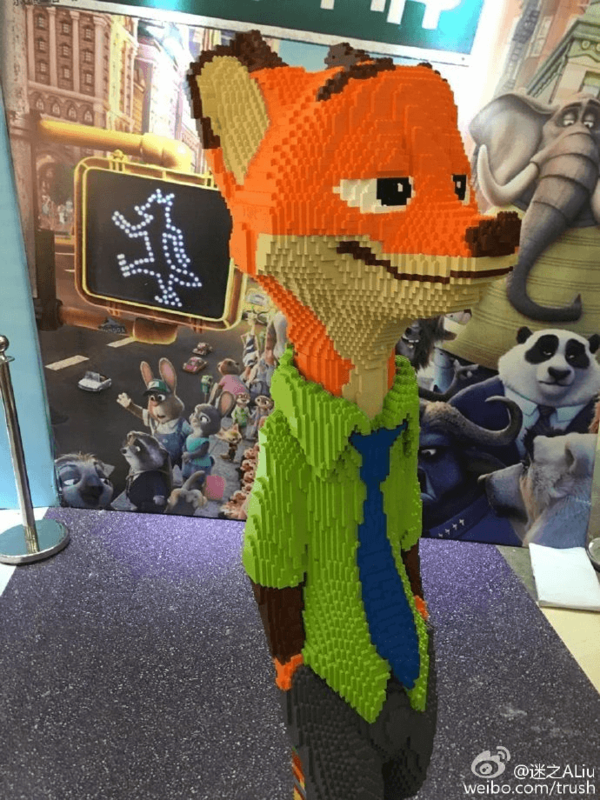 The 1.8-metre sculpture of Nick Wilde, a character from the Disney film Zootropolis, was on display at the Lego Expo in Ningbo, China. The sculpture was built by an artist by the name of Mr. Zhao, who reportedly spent three days and nights constructing it. Photos shared by Zhao on Chinese social network Sina Weibo show the completed version of the sculpture and the pieces strewn about the floor after it was destroyed. The child’s parents reportedly apologised for the incident and offered to pay for the sculpture, but Mr. Zhao declined to accept compensation, since it was clear to him that the child did not intentionally break it. Here’s what the LEGO exhibit looked like (pre accident).